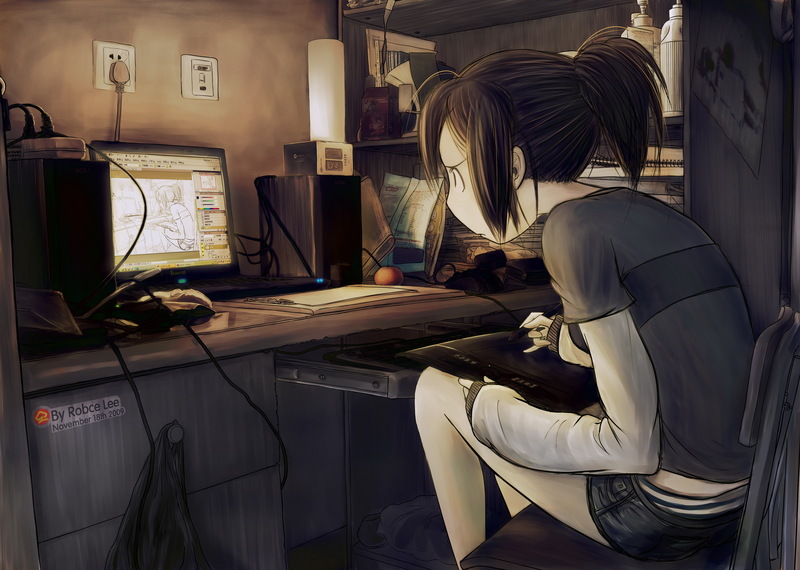 OMG this looks exactly like me… so freaky… I even have an Intuos 4 and am an avid digital sketch artist… I can’t even deal. She showing the world how to shop a photo you moron. The more important question: why is she using a PC?